J. P. Morgan is the highest paying bank in London. Bonuses make up for 70% of total compensation for MDs at J. P. Morgan. Morgan Stanley highest paying bank for Associates. MD’s bonuses make up for 70% of total compensation at highest paying bank, report finds. J. P. Morgan is the highest paying bank in London, according to a new report. 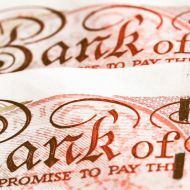 A survey by salary-benchmarking site Emolument.com found that Managing Directors (MDs) at the financial institution receive a total pay on average of £919,000. This is 35% more than Morgan Stanley, which pays its MDs an average of £682,525 a year. J. P. Morgan also offers the highest bonus payments for senior bankers, with MDs receiving an average of £612,975, making up 70% of their median total compensation. A combined average bonus and salary of £136,000 makes Morgan Stanley the highest paying bank to work at for Associates in London. 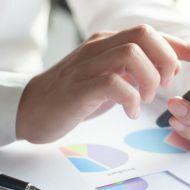 In an effort to determine how fair the distribution of funds is within each of the listed institutions, Emolument.com has created the ‘Fairness Scale’. By calculating the percentage of total Associate salary to total MD salary, Emolument.com attributed 20 points to the ‘fairest’ company with the highest percentage and gave the remaining companies points accordingly. Credit Agricole, the bank with the lowest MD earnings, scored the most ‘fairness’ points, while J. P. Morgan places last with eight points. Alice Leguay, Co-Founder & COO at Emolument.com said that this scale of fairness will likely fluctuate year on year “depending on the bank's needs to retain certain generations of employees”.